I’ve already mentioned the SeaEra toilet elsewhere on our website but will go into more detail about it and the installation as well as some modifications that we made. I will update the page narrative and include several higher resolution photos later this year. The SeaEra electric toilet is made by Raritan Engineering and comes either as an add on for a type PH-II manually flushed toilet or as a complete system. 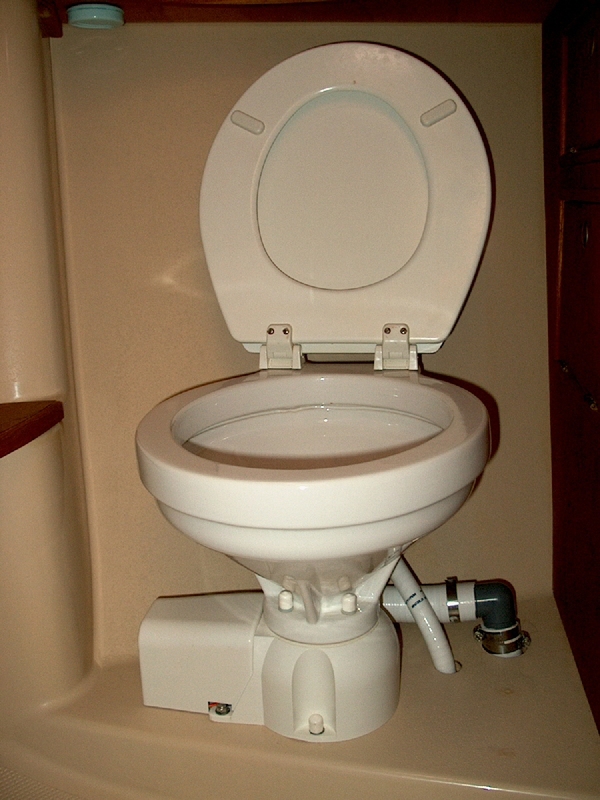 The toilet has a macerator/pump as part of the base and uses a remotely mounted seawater pump. In this photo you can see the macerator motor cover at the lower left. To the right are the smaller sea water intake and larger waste discharge hoses. I used Dometic Odorloss hose throughout the waste system to help prevent odors. I’ve found though that a flush cycle, of about 10 seconds for this installation, does more to keep waste odors to a minimum. I modified the LectraSan waste treament flush control so that we could flush the toilet for a predetermined time (10 seconds) with a single touch of the flush control. 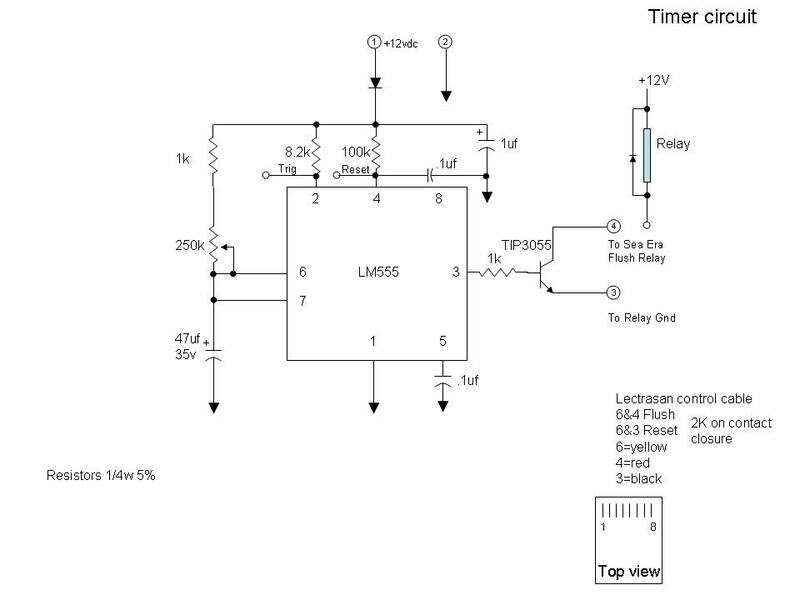 The Circuit Diagram for the timer and driver is linked here. The timer circuit plugs into the flush control board using the existing RJ-45 interconnect cable.